This past weekend, my dad and I hit the road on Saturday to travel first to West Monroe, LA. We spoke on Sunday morning to the White’s Ferry Rd Church of Christ. The worship service was amazing. What a joyous people! I could feel the joy from the moment we walked in, throughout the worship service (which I had the privilege to lead), and all the way until we left. I really enjoyed working with their praise team, and we heard from so many afterwards about how much they enjoyed our presentation. 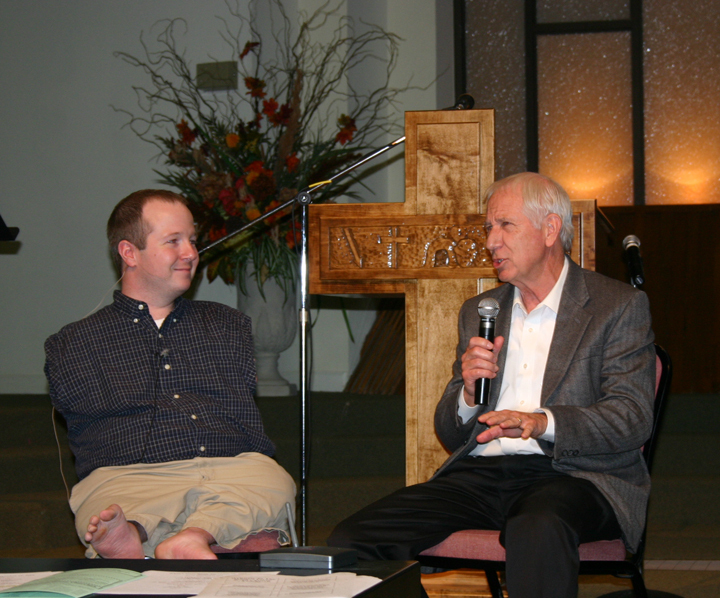 On Sunday evening, we headed to Vicksburg, MS, to speak to the Bypass Church of Christ. This church has a very unique history as it is a merger between a predominantly white Church of Christ and a predominantly black Church of Christ. I truly admire them as they have learned to put diversity aside and worship God side-by-side. They are reaching the lost, and we had a great time presenting our story as they were a very enthusiastic audience. After two presentations on Sunday, we drove to Jackson, MS, for a Monday morning keynote to kick off the annual Mississippi Head Start Association meeting. We got to present to over 200 difference-makers who work with and inspire children, ages 0-5, every day. They work with children with all different kinds of needs to prepare them for elementary school. I really admire their work, and felt it a privilege to “inspire those who inspire.” Even at 8:30AM, they were a GREAT crowd, and they clapped so loud while I was singing, “Standing Outside the Fire” that I thought the roof was going to lift right off the building. The weekend was truly inspiring and motivational, but not just for those who heard us…my dad and I came away uplifted, and we have great admiration for all three groups and the work they are doing. Now…it is time for a vacation. Joni, Hannah and I leave tomorrow for Disney World…a welcomed break! Keynote inspirational message from Dr. Jim and Chet McDoniel - "All He Needs for Heaven"